Instagram boss: How to avoid burnout Jump to media player Mike Krieger, cofounder of Instagram, offers the business advice he wishes he'd had when he started out, as part of the BBC News series, CEO Secrets. Tinder boss's secret: Rule of three Jump to media player Sean Rad, cofounder of Tinder, offers the business advice he wishes he'd had when he started out, as part of the BBC News series, CEO Secrets. Kickstarter boss on success secrets Jump to media player Yancey Strickler, cofounder of Kickstarter, offers the business advice he wishes he'd had when he started out, as part of the BBC News series, CEO Secrets. Wikipedia founder: Ready to 'reboot' Jump to media player Jimmy Wales, the cofounder of Wikipedia, offers the business advice he wishes he'd had when he started out, as part of the BBC News series, CEO Secrets. 'On a good day we have fiery debate' Jump to media player Clare Gilmartin, boss of Trainline, offers the business advice she wishes she'd had when she started out, as part of the BBC News series, CEO Secrets. How Innocent Drinks 'nailed it' Jump to media player Richard Reed, one of the founders of Innocent Drinks, offers the business advice he wishes he'd had when he started out, as part of the BBC News series, CEO Secrets. 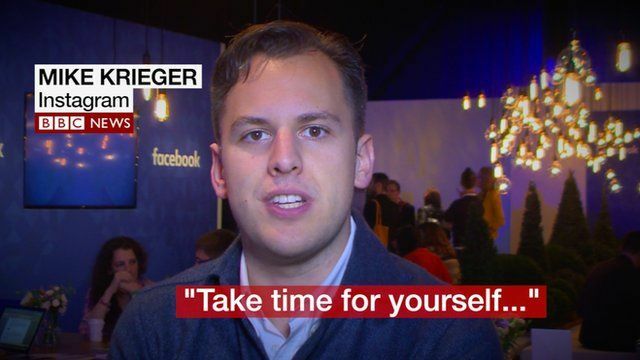 Mike Krieger, cofounder of Instagram, offers the business advice he wishes he'd had when he started out, as part of the BBC News series, CEO Secrets. You can read more about the #CEOSecrets technology special.